Not sure which side would disagree more with the title of this post. On one hand you have the Portuguese, who own the sole right to produce the style we know as Port and would suggest that it is the apex of quality fortified wines. On the other hand, you have the French who would suggest that Vins Doux Naturels are par excellence and the gold standard for fortified wine. Regardless, I think they can both find agreement in taking pride that neither belong to their Spanish neighbor. But in the context of this post that is neither here nor there. Vins Doux Naturels is a style of fortified wine produced in France where fermentation is arrested preventing the conversion of all sugars to alcohol. The result is a wine of higher alcoholic strength with preserved sweetness whose degree of sweetness depends on the moment of fortification. Essentially this is the exact method for producing Port, but much to the chagrin of the Portuguese it is worth noting that VDNs were being produced long before the first Ports. The mutage method employed in the production of Vins Doux Naturels was patented first within the present-day French region of the Languedoc in 1299 whereas the earliest Port was said to be produced in the 17th century. Another difference is the traditional alcoholic strength of the spirit used in the fortification of both. The spirit used in the production of Port, aguardente, is lower at 77% than the 95% spirit used in the fortification of VDN, however a lesser amount of the fortifying spirit is added in the production of VDN (5-10% of the final volume) compared to Port (around 20%) so VDNs despite using a higher strength spirit for fortification are ultimately lesser in alcoholic strength as a finished wine. What is encouraging despite which style you choose, is that both are compatible with a similar range of foods. One of the most common questions I may receive late night during service is, “We want to order the chocolate dessert on your menu. Can you recommend a wine that will work with that?” Fortunately, the answer is both yes and also affordable. A glass of Late-Bottled Vintage “LBV” Port and/or Banyuls VDN are both excellent options for the occasion. The one rule to follow when pairing wine with desserts is that the wine must be sweeter than the dessert and these two wines can stand up to that prerequisite. But don’t limit these fortified gems to dessert pairing only. Get a little adventurous in your pairing pursuits. Try it with roasted meats, poultry, cheeses, foie gras, or whatever you feel like. Both are versatile and both are an excellent medium for creativity at the dinner table. Vins Doux Naturels literally translates to “naturally sweet wines”. Not quite the truth. Other VDNs to try: Rivesaltes, Maury, Muscat de Frontignan and Rasteau. Artisnal cheese has made a large splash in epicurean culture of late and more and more diners are looking for the perfect cheese not only as an accompaniment with their favorite foods but also as a novel pairing experience with their favorite beverages. Everyone has a different preference for cheese. Some prefer the salty, earthy blue cheeses like Cashel, Roquefort, and Stilton and others may prefer creamy and buttery cheese like Nettle Meadow Kunik. And while most cheeses are meant to be consumed shortly after production, there does exist a category of cheeses that require a bit of aging resulting in a finished product that is far removed from its soft and creamy counterparts. Roomano is an aged Gouda from Friesland in the Northern Netherlands produced from pasteurized cow milk that sees anywhere from 4-6 years aging warehouses until its release. 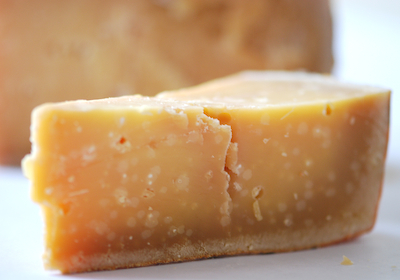 Like other cheeses that see a significantly longer amount of aging, Roomano is very dense and firm. Additionally the cheese has calcium lactate crystals throughout the paste effectively giving the cheese a satisfying crunch and texture. Don’t worry, these crystals are harmless and form naturally during the aging process. Along with the crunchy texture your palate will pick up on sweet butterscotch and caramel flavors making this truly a unique if not downright assertive cheese. If your looking for a good match with wine, aged sherries and port are a good bet, but extra ripe and full-bodied new world reds with ripe tannins like Napa Cabernet and Australian Shiraz work just as well. For beer go with Belgian style ales. Everyone likes a good comeback story and that’s exactly what you will find at Jasper Hill Farm in the Northeast Kingdom of Vermont. When brothers Mateo and Andy Kehler bought the farm in 1998, it had seen better days, but after some hard work highlighted by the purchase of a herd of Ayrshire heifers the brothers had laid the foundation for what would become one of the most revered farms for blue cheese production in all of the Northeast. Grazing on carefully managed fields of clovers, grasses, and legumes from late Spring to early Autumn allows for the development of high quality Ayrshire milk that is the perfect precursor for the development of Bayley Hazen Blue. The cheese is slightly drier than most blues, but is not short on complexity. 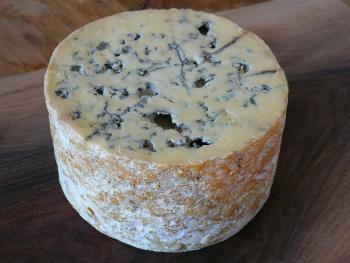 While still having the tang of other blue-veined cheeses like English Stilton and Fourme d’Ambert, Bayley Hazen also has subtle notes of chocolate bitterness as well as a buttery texture and even a hint of anise. The cheese acquired its name from an old military road that was commissioned by George Washington 1976 to transport troops to the Canadian front for battle with the English. Although no battle actually broke out, the road did allow the first settlers to move into the area effectively setting in motion the chain of events that would one day make possible the availability of this unique and delicious Vermont blue. Try it on burgers, melted down into a dip, or if your really feeling frisky head on down to Corkbuzz Wine Studio on 13th Street in NYC and try their Bone Marrow dish which uses Bayley Hazen as a key ingredient along with a layer of Sherry Shallot Marmalade. Over the past few years I have explored countless combinations of food and wine trying to find a single every day dish that could elicit culinary euphoria when paired with the right wine at the dinner table. 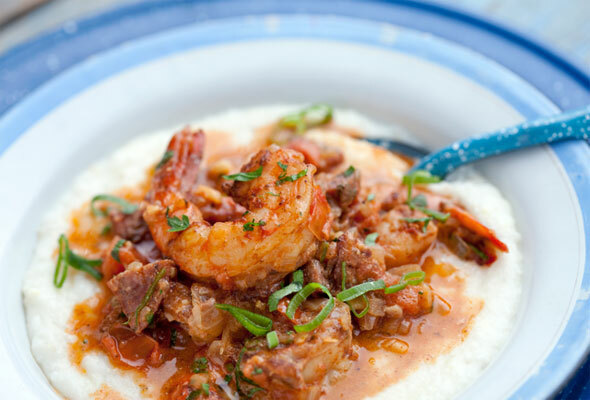 One food and wine combination that I love going back to time and time again is the classic shrimp and grits dish with an opulent white Burgundy. It just so happens that this was the food and wine pairing that made me a believer in the possibility of a synergistic relationship that food can have when paired with the right counterpart. White Burgundy begs for food that isn’t too bold, but can present a supporting cast whose intentions are to provide a stage for the focused and mineral scented wines of the Cote d’Or to perform. The best white Burgundies see a significant portion of time in oak barrels giving the wine a round and opulent mouthfeel that matches effortlessly with the weight of the dish, which incorporates cheese and butter. Additionally the grits provide a textural backdrop for the wine to play off of. The good dose of acidity in these wines help not only to counterbalance the richness of the dish but also enhance the inherent sweet flavors in the shrimp. Poaching the shrimp works with this pairing but if you have a wine that sees a significant amount of new oak, grilling would be the best option as the charing would help to echo the oak notes in the wine. For the best results opt for a Meursault. Wines from here tend to have the ideal opulence and body to balance perfectly with the dish, but if your feeling thrifty a Bourgogne from a respected producer such as Latour will work just as nicely. Carmenere is arguably the star red grape of Chile, next to Merlot. It was once a variety used in Bordeaux blends, but is slowly being phased out due to its insignificance as a player in the French market. This may have something to do with its inability to consistently acheive full ripeness, a problem that doesn’t seem to exist in Chile. Chilean carmenere has a distinct spiciness to it that begs for a dish that echoes this. Additionally, wine from this varietal has notes of smoke and herbs such as rosemary, thyme, and tarrigon making this wine the perfect partner in crime for gamey meats such as lamb. One dish that echoes the flavor lexicon of carmenere rather well is lamb vindaloo. A traditional Indian dish, lamb vindaloo is seasoned with cayenne pepper and garlic with variations including coriander, cinnamon, and sauteed onion. The gaminess of the lamb combined with a supporting cast of herb and spice make the dish an intriguing pair for those seeking a change of pace from everyday fare. Barolo v.s. Barbaresco: What is the Difference? It’s no secret that the nebbiolo grape is the king of northern Italy serving as the grape used in the production of Barolo and Barbaresco, the two most renown reds of Piedmont. At one time both were sweet reds and were vinified in this manner up until the middle of the 19th century, but today these tannic reds bare no similarities to the shadows of their past and are widely considered the densest and most ageworthy of all red wines worldwide. So both are dense, both are tannic, and both are made from the same grape. What’s the difference? Both are in the Langhe region of Piedmont but are two different areas within the region. So from a geographic standpoint there are different soils and even different climates between the two. Barbaresco has soils that are more calcareous marl whereas Barolo soils are more sandstone and clay with sandy marl. Barbaresco despite being only ten miles from Barolo receives more of a maritime influence promoting earlier ripening. Additionially Barbaresco wine traditionally sees a shorter maceration period meaning there won’t be as much tannic extraction. 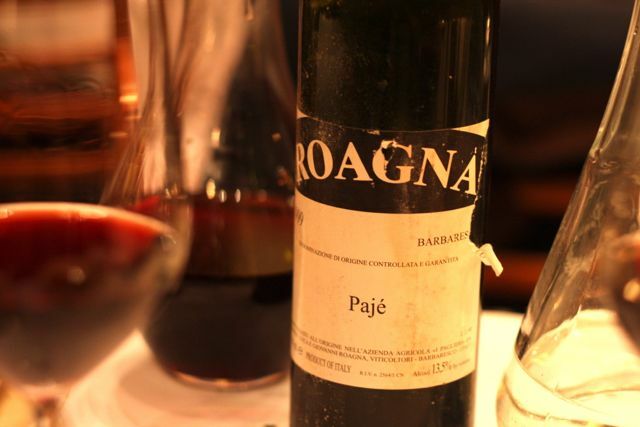 This leads to a softer mouthfeel in the wine as well as a wine that is approachable at an earlier age than the Barolo wines which are more intensely tannic. Another difference lies in the aging laws. Barbaresco must be aged a minimum of two years of which one is in oak or chestnut. Barolos are to be aged a minimum of three years of which two must be in oak barrel. Both wines can age decades after their release with the general consensus being that Barolos can out last Barbarescos. Despite their differences, both are outstanding expressions of the nebbiolo grape and give off intoxicating notes of roses, licorice, leather, black pepper, and smoke. Both are outstanding wines to pair with antipasto and gamey meats with fat and both are outstanding wines to pair with.. well… a glass. It doesn’t matter which one you choose and if you have the option to buy both, then do. But whichever one you choose you can buy them with confidence, knowing that both are widely regarded as arguably the best wines of Italy. So whether it’s the powerful Barolo or smoother more elegant Barbaresco you can rest assured that both of these Piedmontese gems are sure to deliver some earthy, old world euphoria providing a satisfying experience from start to finish. Q: There’s all this talk about modern v.s. traditional style with Barolo production. Could you briefly explain where your philosophy falls along that spectrum? LR: At our center we are extremely traditional, but there’s more to it than just extreme tradition as people think from a vinification perspective. In my opinion it is more about the purity of expression of the nebbiolo grape. Some people will talk about “new style” and “old style”, but really its just about the pure expression of the grape. Q:I frequently buy your lower end bottles due to my just-out-of-college budget and I’m really a big fan of the ’04 Langhe Rosso. If there’s one thing you could pair with that wine, what would it be? LR: It’s possible to pair every food that is similar to what you would use for the Barolo and Barbaresco. Usually if you have a good antipasto with meat or a main course with fatty meat, that is what’s best. Q:There’s an old saying we have out west that in order to make a lot of good wine, it takes a lot of good beer. Other than wine, what is one of your favorite beverages to enjoy after a long day in the vineyard? LR: I like a lot of different beers. I was in Manhattan yesterday with some friends and I got a chance to meet the brewmaster from Brooklynn Brewery. Last night I got to try a beer that they only release once a year that’s really small production and that was really good. Beer is a similar idea to wine, you know, there are many large factories that produce it, but there are also some that are artisanal and bring out great expression. When it comes to cocktails though, I like the Negroni. Q:Growing up in Piedmont I’m sure was an extraordinary experience. What is a cultural tradition that the people of Piedmont take the most pride in? LR: Our tradition that is most important is respect for family and each other. If everybody has respect for each other then it’s a good life. Q:Vinitaly is right around the corner so I’m sure you’re going to be pretty busy showing your portfolio. Are there many other wine events where you show your wines? LR: Well we do the same kind of thing we do in the U.S. as we do at Vinitaly in terms of showing our wines. Of course we have a small production so it’s impossible to show the wines at every major event, but sometimes we’ll show wines in New York or maybe one week back in Italy or France and even in Japan. At the same time, a couple thousand bottles production is very small so we can’t show it everywhere, but when we do show it we show it with the same energy and enthusiasm for every person in the world that gets a chance to experience our portfolio and we always seem to have a great time doing it and enjoy the company of those at each location. Q: The crichet paje is considered the pinnacle of your porfolio and is only produced in the best vintages. Is there one specific weather pattern that leads to a great vintage or are there different ways to end up with a great growing season? LR: The decision to make the crichet paje is not at harvest, but only after the aging. For example, the last release of the crichet paje was in 2002. You know, Piedmont in 2002 was really not the best vintage, but after the aging process it was really,really good. So it is really only after the aging that we’ll have a good idea of what will become crichet paje. It is the top quality from the Paje vineyard. If the wine is really unique and expressive we will use the name crichet paje, but if the wine is of good quality, but not quite enough we will only use the name Paje. It is possible to have 1-4 years in a row that we produce crichet paje and then not have another for 5 years. But ultimately it just all depends on how well the aging process turns out. Q: I noticed that you also make grappa. At what point in the night do you pour that, or are there any special occasions that call for a grappa toast? LR: We need a group of friends, if it’s a whole bottle of grappa, we need a big group of friends, but it’s usually for after lunch, after dinner for a relaxer. But a good group of friends with a good glass of grappa always makes for a good time. Q: And while we’re on the topic of spirits, I grew up in Kentucky and bourbon is a staple among our cultural traditions. Are you much of a bourbon fan? LR: I like bourbon, yes it’s great! I have some good friends in New York that when we fly in maybe once or twice a year we’ll do a tasting with them and then afterwards sit down and enjoy some nice bourbon or some Manhattans. LR: Well my friends, we’ll taste through several, but I prefer those with more of a purity of flavor like rye, a cleaner taste of the grain. 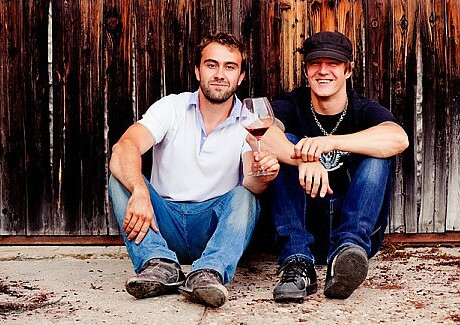 Q: When you’re not tending the vines and making wine, what is one of your favorite hobbies to partake in? LR: I like sports, I like to run, ride bikes, and I like to travel. I don’t have a lot of time for vacationing, but when I travel for work I take some days off for visiting like for example today we went to the Metropolitan Museum. We like the art, but I am a farmer and don’t really recognize a lot of the art, but it’s still great. Good stuff. Q: One more question. Favorite futbol team? LR: They’re very small, but it’s definitely Torino!